The AS/400 is a popular family of mid-sized computer systems which can also be used as multi user computer systems. By this, we mean that a single computer can interact with more than one user at a time. It was first introduced by IBM on June 21st, 1988. The AS/400 can be utilized for different business facets. Some models are designed as systems that provide resources to other computers, also known as a “server” in a network of computers, while others are set up for use with terminals or “display stations”. OS400 is the operating system for the AS/400. The AS/400 computers offer more compatibility across the product line than the earlier System/3X computers. Hence, the earlier IBM models of the System/36 and System/38 have since been replaced by the AS/400 systems. IBM has sold over 600,000 AS/400’s and over 350,000 of them are still active. From distribution warehouses to hospital administrators, and even manufacturing companies, the AS/400 is a strong component in aiding these companies’ daily business operations. The AS/400 utilizes a green screen interface, a built in database that resembles DB2, and a vast array of software to provide business solutions for today’s business needs. In October of 2000, IBM rebranded the AS/400 and announced its name as the eServer iSeries. As part of IBM’s Systems branding initiative in 2006, it was again renamed to System i. The codename of the AS/400 project was “Silver Lake”, named for the lake in downtown Rochester, Minnesota, where development of the system took place. In April 2008, IBM announced its integration with the System p platform. The unified product line is called IBM Power Systems and features support for the IBM i (previously known as i5/OS or OS/400), AIX and GNU/Linux operating systems. It include an integrated DB2 database management system, a menu-driven interface, multi-user support, non-programmable terminals (IBM 5250) and printers, security, communications, client–server and web-based applications. Much of the software necessary to run the IBM System i is included and integrated into the base operating system. 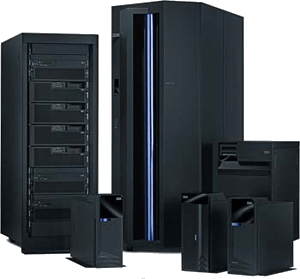 The IBM System i also supports common client–server systems such as ODBC and JDBC for accessing its database from client software such as Java, Microsoft .NET languages and others. Programming languages available for the AS/400 include RPG, assembly language, C, C++, Pascal, Java, EGL, Perl, Smalltalk, COBOL, SQL, BASIC, PHP, PL/I, Python and REXX. Several CASE tools are available: AllFusion Plex (see *Plex Wiki), Accelerator for IBM i, ADELIA, Synon, AS/SET, IBM Rational Business Developer Extension, LANSA, ProGen Plus and GeneXus. The ILE (Integrated Language Environment) programming environment allows programs from ILE compatible languages (C, C++, COBOL, RPG, Fortran, and CL), to be bound into the same executable and call procedures written in any of the other ILE languages. could you please tell how to change assist menu… I want to remove option 4.